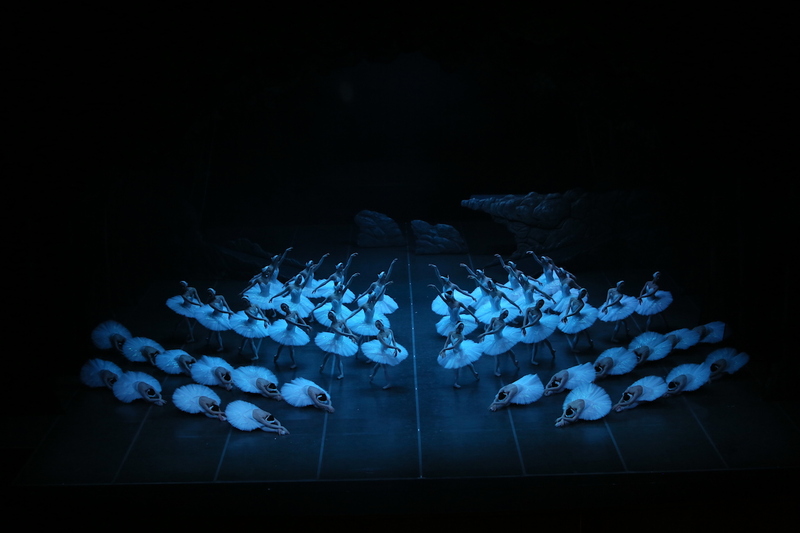 The Shanghai Ballet’s highly traditional production of Swan Lake is distinguished by the exquisite use of a huge corps de ballet of angelic dancers. 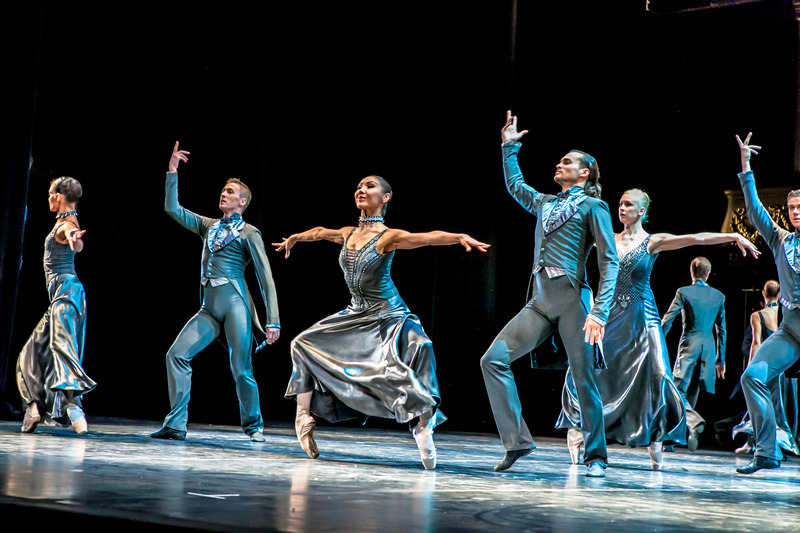 In the late 1990s, international choreographer Derek Deane enjoyed great success with stagings of a trio of large-scale ballets at London’s Royal Albert Hall. In 2015, he re-staged his Grand Version of Swan Lake for a proscenium arch theatre for The Shanghai Ballet. The mighty Regent Theatre is the ideal venue for the exclusive Melbourne season of this Australia tour, allowing the lavish work to be seen on the grand scale in which it was designed. 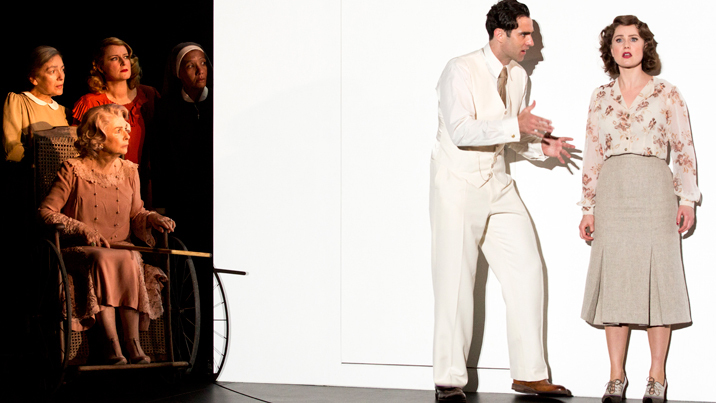 Designs for this production are by renowned designer Peter Farmer. Responsible for some of the most opulent ballets ever staged at The Royal Ballet and The Australian Ballet, amongst many others, Farmer sadly passed away in January of this year. Farmer’s grand work for Swan Lake fills the Regent stage more capaciously than many a musical theatre production. Largely consisting of painted backdrops, the scenic design has greatest impact at the top of acts two and four, when the curtain rises on the heavily misted lakeside setting. Swan costumes feature a dainty white headpiece and featherlight tutus that seem to float in space. Farmer creates a richly regal impact for Prince Siegfried’s Birthday in act three with the ensemble in elaborate brocade tunics, half in ruby red and the other half in emerald green. 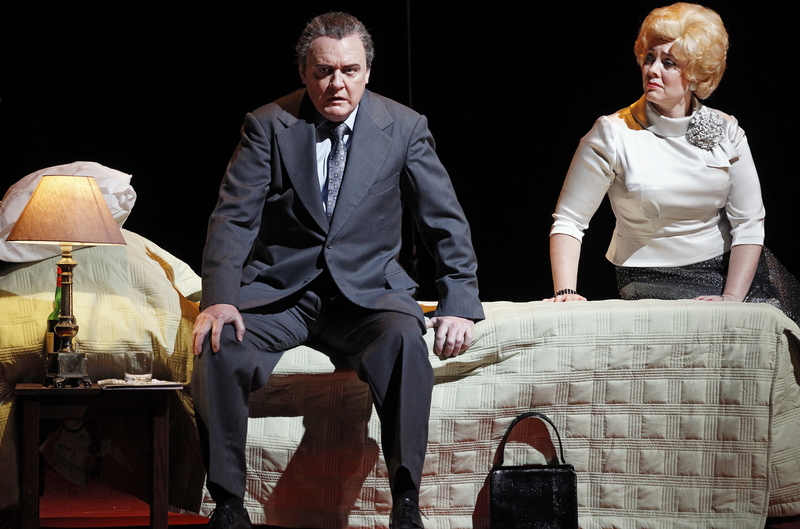 Siegfried and Odile’s gleaming black costumes in this scene are also supremely eye-catching. While local audiences are accustomed to live performances of ballet scores, the recorded music used for this tour is well reproduced, and makes suitable use of dynamics. Deane’s aim with the work is to follow tradition whilst ramping up the spectacle, and this is certainly achieved with great flair. With a very strong focus on acting, Deane has kept the storytelling engaging, adding moments of nuance to the broad strokes of the well-known tale. 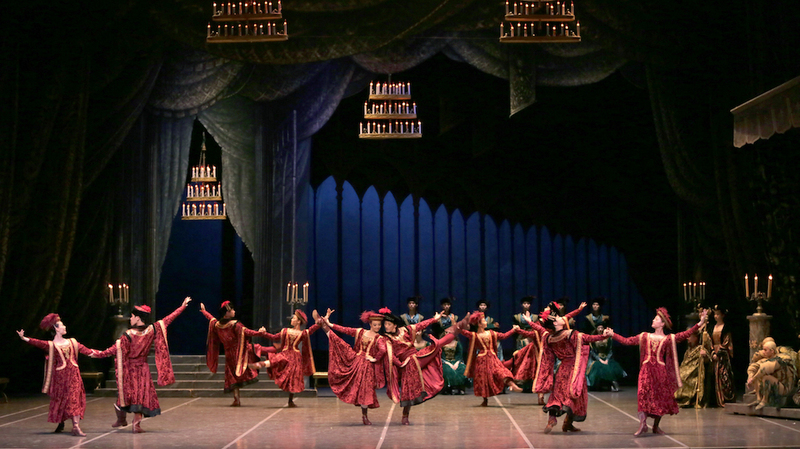 The most noticeable strength of The Shanghai Ballet is the extraordinary depth of talent throughout the company. Divertissement after divertissement is danced with stunning perfection, the dancers beaming with the joy of the beautiful work they are performing. The key attraction of the tour is the huge flock of swans, which is made up of a staggering 48 dancers. Deane’s work in the acts two and four lakeside scenes is a triumph. Choreographing so many dancers, especially ones as perfectly matched in proportion as these, Deane is able to create abundant ongoing variations of elegant patterns. During Odette and Siegfried’s pas de deux, the swans are like a living, breathing backdrop. This fluid beauty cannot help but have a palpable affect on the viewer, noticeably elevating the impact of the work. The Shanghai Ballet was fortunate enough to engage Ako Kondo, a Principal Artist of The Australian Ballet, to play Odette/Odile. Kondo is a marvellous asset to the production, fitting in seamlessly with the choreography and creating a gorgeous pairing with Wu Husheng, First Principal Dancer of Shanghai Ballet. Kondo dances Odette with delicate grace that belies her supple strength. If Kondo’s Odile is, perhaps, a little sweet rather than wicked, this is nonetheless endearing and lovely to watch. Overall, Kondo has taken full advantage of the opportunity to show her potency as a prima ballerina. 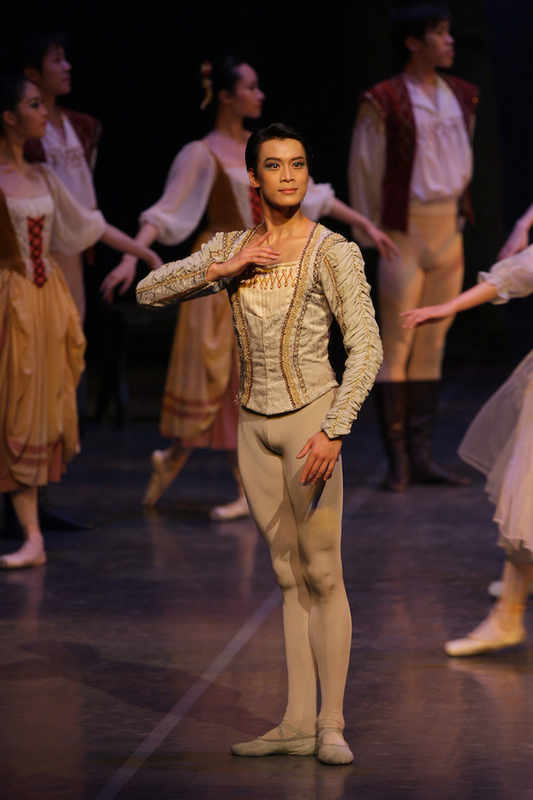 Tall and gracious, Husheng captures Prince Siegfried’s noble solitude very well, engaging the sympathy and affection of the audience. A generous and supportive partner, Husheng enjoys chemistry with Kondo and with his Tutor and the Queen. Husheng’s full capabilities come to the fore with his solo work in in act three, in which his leaps almost take him up to the chandeliers. 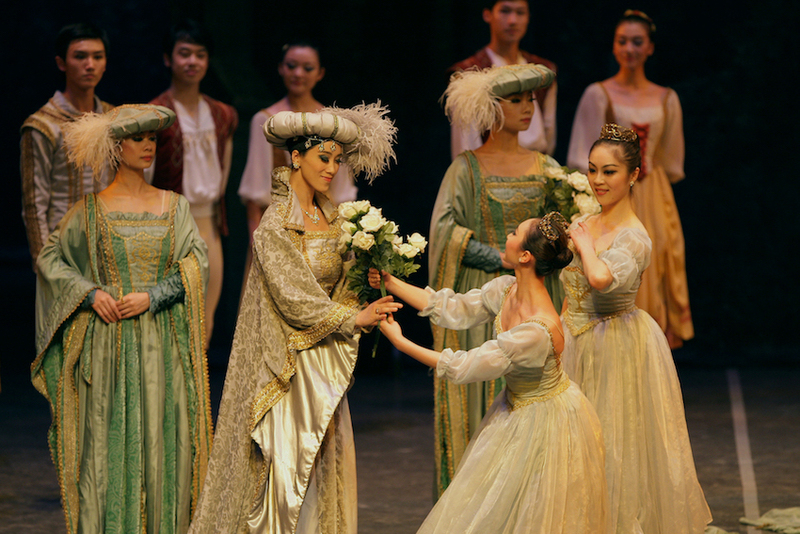 The Shanghai Ballet’s Swan Lake is a memorable evening that reinforces the sheer beauty of ballet. Derek Deane’s Grand Version of Swan Lake plays at Regent Theatre, Melbourne until 24 April 2017.